The international sports powerhouse, Nike, has just given its popular Flyknit Racer silhouette a brand new lease of life with this aqua colorway. 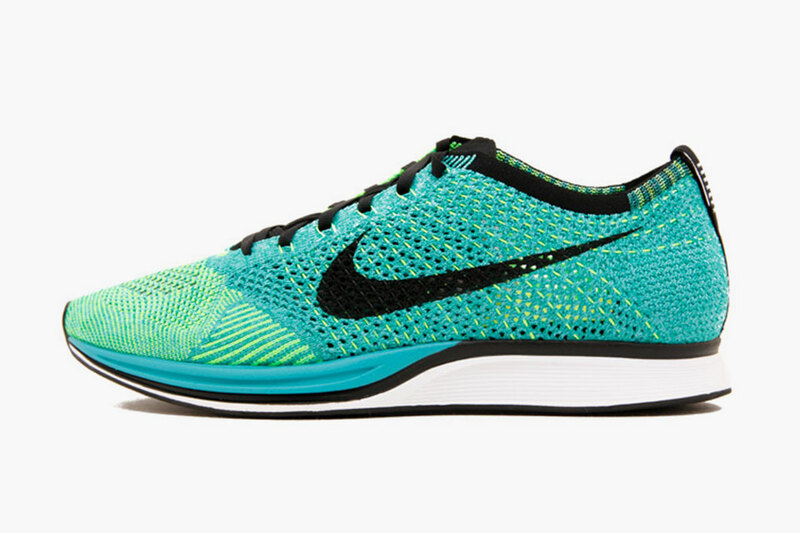 The two-toned sneaker features an upper crafted from a colorblocked Turquoise and Lucid Green woven Flyknit upper. The look is rounded out using a clean white midsole and black branding, which includes the Swoosh and laces. This entry was posted in Nike and tagged Flyknit, Kicks, Nike, Racer, Running, Sneaker, Trainer. Bookmark the permalink.